The Wisdom of every Ascension is built upon the last. From our Ascension of the Storm/CAUAC trecena our Lives were made New by the Truth of our Unbridled Freedom To Be. Through a Direct Transmission of Light, we knew in a Flash that our own Way was our Divine way. 13 Seed/KAN is an Ascension born from the Wisdom of our Experience, what we learned, given a second chance To Be. Following our own Road of Truth, we discovered we would always know the next step. A calendar was embedded in us that would mark the Times and Places where we’d know we were where we were supposed to be. We would always know the Reason for Now is Love. Our Spirit’s contribution was meant to be the different way we Express it. Seed/KAN resides in the South, completing a new Ascension toward our Right Relationship with each other and the Natural World. Holding the Element of Earth, the South represents the inter-connectedness of all living things on Mother Earth. We weren’t intended to lead each other, though it’s easier to see Truth about our Self through the experience of Relationship. We were given the Love of each other to inspire our Highest Reasons to Create… for each other. Seed/KAN represents the Force within the Seed to become what it was intended to Be. The plans were embedded in our DNA. The Spark is the Unseen Force that brings it to Life. 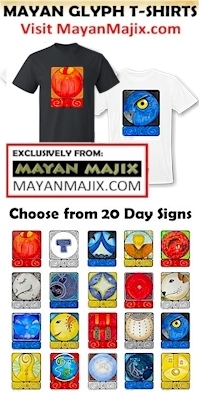 The Cherokee Day Sign is the Dragon, a symbol of Consciousness and Life Force. Dragon holds the Power to See Clearly. Seed/KAN guides a profound investigation of Self. The Dragon is a Force of Being. Our Spark of the Creator is the Authority for Becoming what we were meant to be. Within the Seed is known everything it needs to flourish and grow. Through the Wisdom of itself, Seed is said to draw Abundance as if cast by a net. The Seed represents a clearing of karma. Every new Seed is free from the choices of the past. We were cast from another Life. All karma is left behind. We only owe our Self another Divine Chance to fulfill a Dream to Bless us All. Like every new generation, this new Seed of our Self deserves to grow free in its own way. We will say “no” when we clearly see we are offered the Provision to say “no” for the Very Divine Purpose of Being. We don’t learn who we are by just “going along” with others. To draw any Wisdom of our own Truth, we have to do things On Purpose to associate the Truth of our investigation. 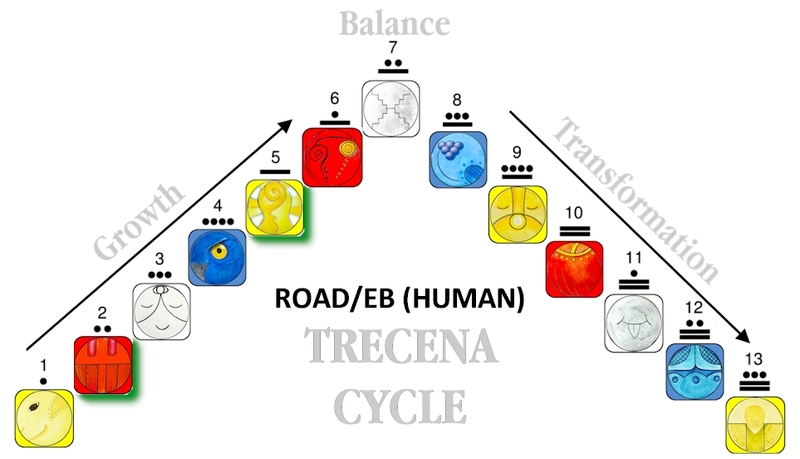 Our Ascension at 13 Seed/KAN offers the Higher Ground to see the next thing we need to Know. Road/EB shared the Truth that our own Dream was Inspired for a Divine Reason. We learned the Creator is always with us, willing to guide us to our Highest Meaning and Purpose. To manifest our Authentic Expression of Life, we have to know what makes us Happy. Today we celebrate an Ascension of the Beautiful Truth about the Road that each of us were Given. The Creator intended us to be Happy. The Creator intended that we reach our Divine Destiny. The plans were designed in us, so that all we had to do to get there was to keep choosing what makes us Happy. It doesn’t matter what it is, as long as it upholds the Sacred Right of Choice for the Whole. To all my relations, may we take the Time to Know our Self, to know what we Love, and what makes us Happy. May we see how the most Divine Choice IS the Choice we always wanted to Make. The Miracle was in our Seed. We were designed to Love the Reason we were Designed to Be. Seeded with the Love of our Own Meaning and Purpose, we could fulfill our Destiny by simply choosing what makes us Happy. That was the Creator’s Divine Way. When Human reached its limit of “trying to be,” we’d finally give up and just do what makes us Happy. Today we Ascend with the Wisdom to Know just how beautiful this Road was meant to be. May we Love our Life and the Creator’s Genius plan that EVERY Human could fulfill. A Divine Creator commanded us to go outside, get some sun and fresh air, and do something that makes us happy. While we’re doing what makes us happy, we’ll be inspired by a Dream of Divine Genius. It finally sunk in that 41 years ago, I was awaiting the birth of my firstborn. We were hoping for July 7, 1977 to make it 7/7/77. 🙂 Here I am again, on July 7, watching and waiting for Finch to break out of their shells. 12 AKBAL feels like watching and waiting for dreams that materialize.